Filter kit Health Solution 28630340 https://www.kaercher.com/ae/accessory/filter-kit-health-solution-28630340.html Ideal for use in our AF 100 air purifier in medical practices and for people with weakened immune systems: a health filter set that efficiently filters out spores and bacteria in the ambient air. The health filter (HEPA 11 filter as per EN 1882:1998) for our AF 100 air purifier is fitted with an effective antibacterial silver coating to eliminate spores and bacteria from the ambient air. This also prevents the spread of such particles in rooms and is the ideal option for medical practices, people with weakened immune systems (e.g. following an operation) or simply for general use in offices during the cold and flu season. 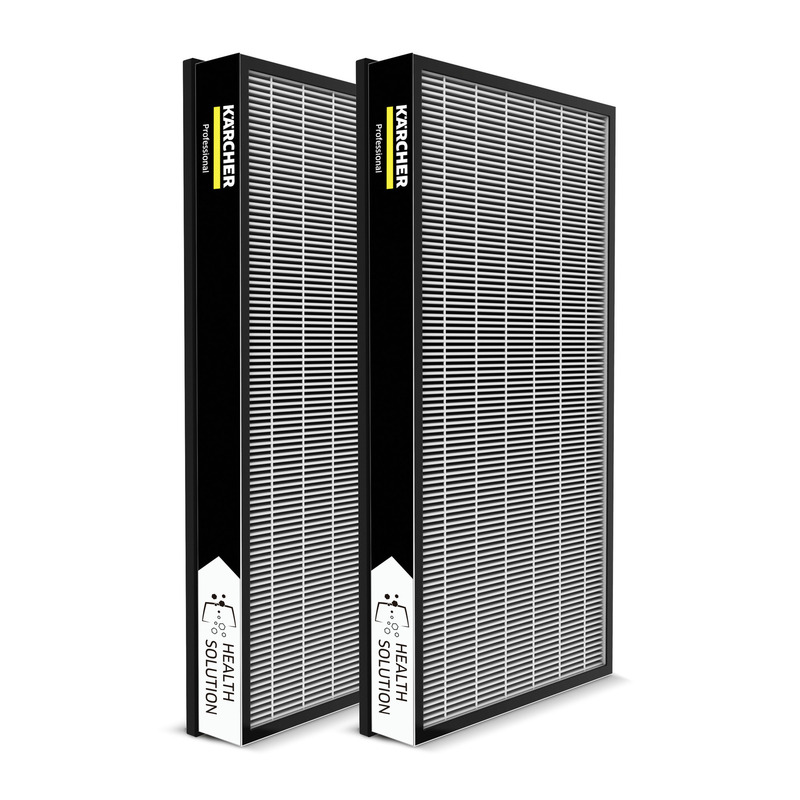 For any other special requirements, additional filters are available for the air purifier. A unique antibacterial silver coating eliminates spores and bacteria. The excellent sealing of the filter captures spores and bacteria.